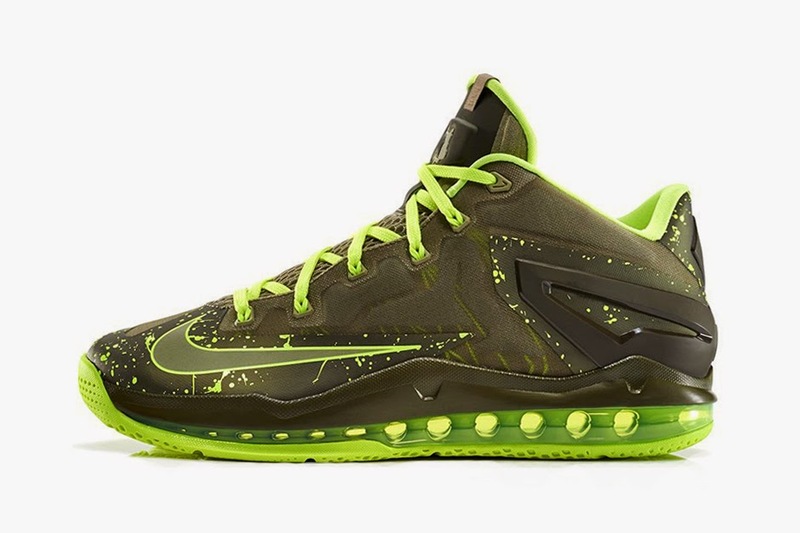 Nike has revealed its new LeBron 11 Max Low “Dunkman.” Continuing the much-loved theme from the LeBron signature line, this year’s low-top “Dunkman” features a dark green upper with speckled synthetic panels, volt accents, and a volt-outlined Swoosh. Below it is a full-length Max Air bag for bouncy cushioning, and a bright volt outsole to finish it all off. Look for the “Dunkman” next week on Friday, May 30 at Nike.